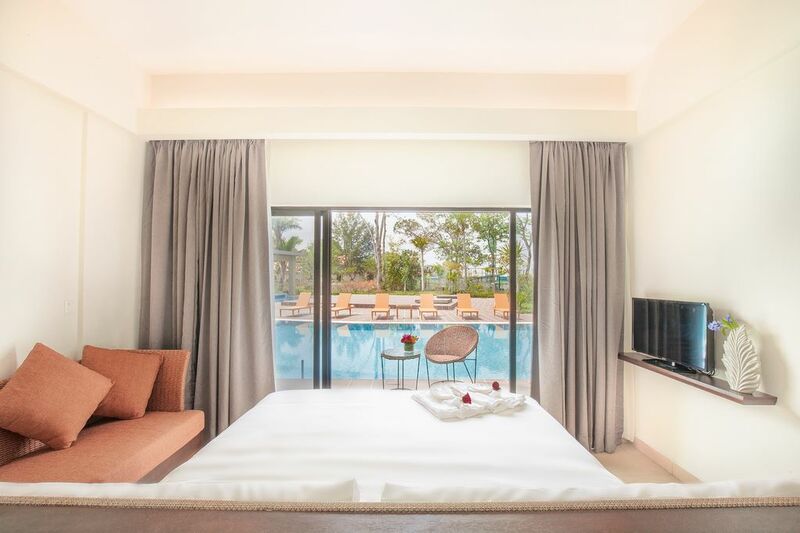 Boasting stunning view of the longest pool in Langkawi, spread out in 50 sqm of sumptuous space complete with a chic relaxation area, the Lagoon Room set in Pool Wing is elegant and contentedly furnished with all modern facilities. Step through the front door is where you enjoy direct access to the pool, which checking your email might not be your priority anymore during your stay. The Lagoon Room accommodation has an option of plush king or twin Serta beds setup to choose from, just like any other room does.